Spring? Summer? Fall? Winter? 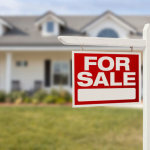 Unfortunately there isn’t an exact science to the best time to sell a home. A quick online search will show suggestions across the board—some say spring, while others swear it’s winter. Still, it doesn’t have to be a complete shot in the dark; there are some factors to consider.